26th Grand Finale with Great Orchestra of Christmas Charity on YT. What unites people in Poland? Learn about the Great Orchestra of Christmas Charity! The objective of this year’s fundraiser is the purchase of equipment in order to ensure that all babies born in Poland have equal access to medical care – regardless of where they are born. The annual winter fundraiser, which will take place on the second Sunday of January next year, will be held in order to raise funds to purchase equipment to ensure that all babies born in Poland can have equal access to health care. The objective of each Grand Finale is always chosen very carefully – the medical team at our charity works closely with medical professionals, consults specialists in the field and analyses requests for equipment we receive from the hospitals across the country. After considerations and consultations, we decided that next year we will focus our efforts on making sure that Polish hospitals – big or small, regional medical facilities or small local clinics – are equipped with devices which allow them to treat newborn babies efficiently, and what is sometimes crucial in the process of recovery – as soon as worrying symptoms might occur. We want parents to rest assured that their children have equal access to healthcare – no matter where in Poland they were born. 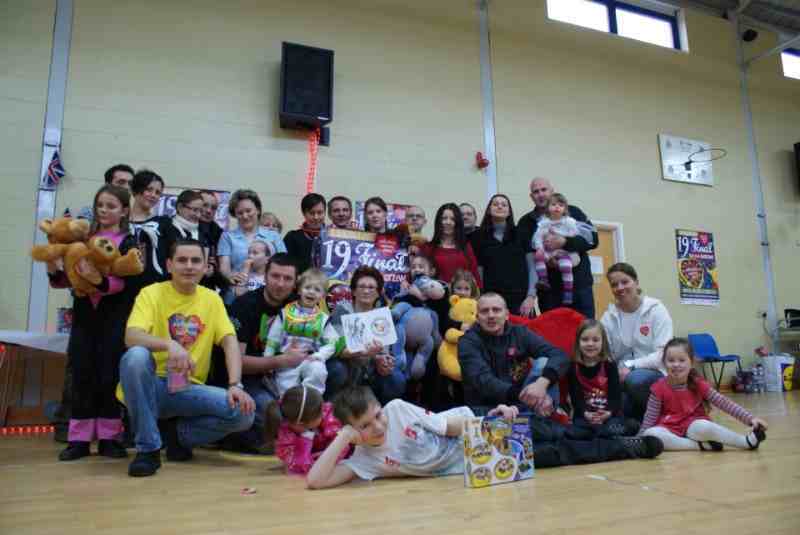 Our objective for the next year’s Grand Finale fundraiser will be to provide support to neonatological units in Poland. Choosing the fundraiser’s goal is never an easy thing to do. We keep hearing about what hospitals in Poland lack, and what help they need from us. We receive messages from doctors, nurses, parents of children in hospitals. Choosing that key objective is vital, just as vital is then being able to meet the needs accordingly and providing comprehensive help and support – says Jurek Owsiak. You can support the objective of the 26th Grand Finale in different ways – we appreciate each and every donation made to improve medical care available in neonatological units across the country. This year we are “playing” for equal access to medical care for all newborn babies in Poland – it means that we aim to use the money we collect this time around to buy equipment to neonatological wards in the country in order to make sure that all babies in Poland can be treated using state-of-the-art medical devices. 26th Grand Finale with Great Orchestra of Christmas Charity begins January 14th, 2018. 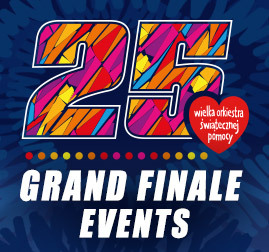 26th Grand Finale will take place on Sunday, January 14th, 2018. We will begin registering Collection Centres on October the 16th. Deadline for registration falls on November, 20th, 2017. The Grand Finale is made possible by all of you who decide to come together and organise an event locally. Thousands of local initiatives contribute to the series of spectacular events across the entire country. There are also teams of enthusiasts who establish Collection Centres abroad. There are people ‘playing’ with us in Japan, and in China, across Europe, and in the US. Make sure to read Rules and Regulations for Collection Centres working in aid of the 26th Grand Finale. A Collection Centre is established in order to organise and coordinate public fundraiser held in public spaces (such as streets, marketplaces, et al.) on the day of the Grand Finale. Before springing into action make sure to read the Rules and Regulations governing the work and running of the Collection Centre. Remember that a Stationary Collection Box is not an equivalent of a large collection box. For instance, volunteers can fundraise in front of the stage during the live concerts, but you cannot leave the Collection Box or a money box there. This method of fundraising is best suited for corporate offices or companies, which would like to place a Stationary Collection Box on their premises. Difference between a company placing a collection box on its premises and a designated Collection Centre is that the Collection Centre is meant to coordinate a public fundraiser held outside, while at a corporate office the Collection Box should be displayed next to an appropriate document, stating the goal of the fundraiser and other relevant details. It’s an event taking place on closed premises (an event such as a concert, or a silent disco, or a workshop – the only limit is your imagination and your resources) between 15th of December 2017 and 14th of January 2018, with the proceeds from public collection supporting the objective of the Grand Finale. The organiser responsible for holding the closed event should make sure that the volunteers collect funds only on the premises of the event. Volunteers cannot fundraise in other public places such as streets or parks. If you would like to reach out for the bands, willing to perform free of charge in order to support the Grand Finale efforts, you can browse through the Bank of Bands. This method of charitable collection is addressed to owners of online platforms, websites, and other online services. You can join our public charitable collection and establish an Online Collection Box at your Internet ‘premises’. You can run a crowdfunding initiative or international transfer drives. 25th Grand Finale GOCC – another record beaten! Two months ago, on January the 15th, we have played in a Grand Finale – people have joined in to support Polish public healthcare for the 25th time! This year we decided to use the funds to purchase equipment for general paediatrics and to ensure that the senior patients receive medical care in a dignified environment. This anniversary fundraiser took a tour around the world – for one day only people came together in locations as remote as Jakarta, China, New Zealand, the Caucasus and the US to raise funds and to build a community of volunteers and socially aware individuals. 25th Grand Finale with Great Orchestra of Christmas Charity. 1. Thank you for playing with us! * see – Extremalna noc w górach z Andrzejem Bargielem. 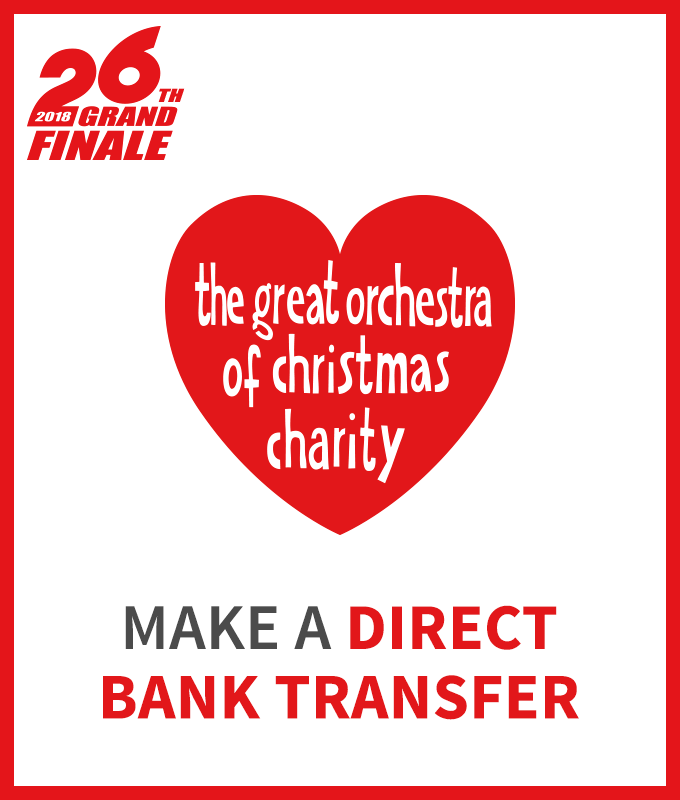 The 19th Great Finale of the Great Orchestra of Christmas Charity! The 19th Great Finale on the whole world – Sunday, January 09, 2011. Part 1 – in Ireland: Cork , Dublin ; in UK: London, Southampton. Part 2 – in Ireland: Limerick, ; in UK: Luton, Northampton, Aberdeen – Scotland ; in France: Paris. Part 3 – in Belgium: Antwerp, Brussels ; in USA: New York ; in Spain: Madrid. Part 4 – in Sweden: Göteborg ; in Ireland: Dublin ; in Iceland : Reykjavik ; in Gran Canaria: Playa Taurito. Part 5 – in Germany: Berlin, Hamburg ; in Ireland: Dublin ; in USA: Stamford ; in Austria: Vienna ; in UK: Bedford. Today – in UK: Newcastle upon Tyne ; in Canada: Mississsauga , Toronto. Wielka Orkiestra Świątecznej Pomocy (WOSP) – The Great Orchestra of Christmas Charity; is the bigges and most prosperous charity organization in Poland. Its objectives, included in the status document, are saving children’s lives, health promotion and education in the field of preventive treatment. Between 1993 and 2010 The Great Orchestra of Christmas Charity has collected and spent over $120 million for saving lives. Besides humanitarian work, the Foundation is also a powerful medium spreading the ideology of kindness, friendship, tolerance, and openness. The Foundation spends 100% of collected money for kids! 1. Newcastle upon Tyne, UK: They also played with WOŚP. Multicultural Organisation Challenger invites for charity event. During this event we will collect funds for children with urologic and nephrologic illnesses in Poland. The event is being organised 19th time all over the world, wherever Poles lives, as well as people of kind hearts. The 19th Finale of The Great Orchestra of Christmas Charity will take place in The NorthEast for the 3rd time. 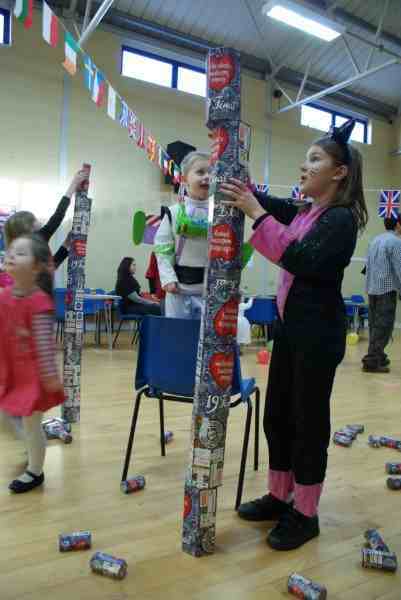 Last year we gathered around £2500. This money contributed to WOSP account in Warsaw, which altogether collected £5,5 mln. Since the beginning Wosp raised around £743,7 mln. Every year we have different target, but always the money gathered around the world is spent to save the lives of children. For these funds The Foundation of Great Orchestra of Christmas Charity is buying equipment, which goes to children hospitals and clinics. This year our organisation wo9uld like to join the circle of people who help The WOSP Foundation in such great enterprise like raising funds to save children’s lives and improve their health. If you would like to donate money for the Wosp Foundation, you can pay in to our account with reference WOSP. * Source : – Newcastle upon Tyne, UK – WOŚP. 2. Mississsauga , Canada: They also played with WOŚP. 3. Toronto, Canada: The Polish Students’ Association also played with WOŚP. The Polish Students’ Association at University of Toronto along with Ryerson and York University organized a dance party on January 8th 2011. We rented a hall, had a DJ, sold drinks and polish food. Everything was sponsored by our wonderful sponsors. The party started at 9pm and the dancefloor filled up completely by 10pm. Everyone danced to the beat of good music and we ended the party off by getting together in a circle and dancing to “Bo wszyscy Polacy to jedna rodzina”. Overall the party was a success and during those 4 hours we raised over 1700$. The exact amount will be available shortly. 1. Newcastle upon Tyne, UK: Oni też grali z WOŚP. Sztab Wielkiej Orkiestry Światecznej Pomocy w Newcastle upon Tyne działał w tym roku przy Multicultural Organisation CHALLENGER. W Newcastle graliśmy juz po raz czwarty. North East Polish Community (NEPCO), Polska Szkoła w Newcastle upon Tyne, Klub Orła Białego w Newcastle upon Tyne,Polish Community Organisation PEGAZ, Restauracja GOSPODA, Sklepy Małgosia’s, Sklep Groszek. Sztab przygotował impreze finałową w Community Centre Fawdon w Newcastle upon Tyne, podczas której prowadzilismy gry zabawy i bal dla dzieci, oraz aukcje gadżetów WOŚP-owych. W sztabie pracowało i nadal jeszcze pracuje 15-stu wolontariuszy, do końca tygodnia w sklepach oraz Klubie Orła Białego nadal będą trwały zbiórki pieniędzy. Do tej pory zebralismy około 300 funtów. Miło było usłyszeć od Menagera Fawdon Community Centre, że pierwszy raz widzi tak wspaniałą imprezę, podczas której mniejszość Polska mieszkająca na naszym terenie potrafi zintegrować się wokół tak ważnego celu. Zapytał nas czy moglibyśmy zorganizować podobna imprezę dla miejscowej społeczności . 2. Mississsauga , Canada: Oni też grali z WOŚP. 3. Toronto, Canada: The Polish Students’ Association grali z WOŚP. Stowarzyszenie Polskich Studentów na Uniwersytecie Toronto wraz z Ryerson University i York zorganizowało bal 8 stycznia 2011. Wynajęliśmy salę, był DJ, sprzedawano napoje i żywność polską. Wszystko było sponsorowane przez naszych wspaniałych sponsorów. Impreza rozpoczęła się o godzi dwudziestej pierwszej i parkiet wypełniony był całkowicie już o 22ej. Wszyscy tańczyli w rytm dobrej muzyki i zakończyliśmy tańcząc “Bo wszyscy Polacy to jedna rodzina”. Ogólnie impreza była sukcesem i podczas tych 4 godzin Uzbieraliśmy ponad 1700 $. Dokładna kwota będzie dostępna wkrótce. który odbędzie się w niedzielę, 09.01.2011 r.
* zobacz : Jak wspierać WOŚP?